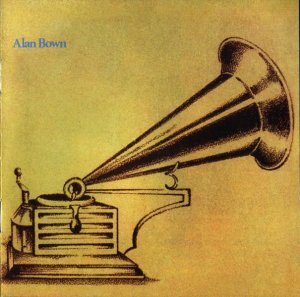 Though British trumpeter/bandleader Alan Bown gave his name to the group he put together, he's far from the dominant musical force; there are long stretches where you might think the band had no trumpet at all. Nonetheless, he shaped the band's sound and shepherded the group through shifts in style and personnel. They had already gone from beat-era mod pop to psych pop before turning toward a heavier, more progressive sound on their second album, Listen. They had also been through two different singers, and the second, Robert Palmer -- later of Vinegar Joe and solo fame -- had left Alan Bown in the lurch by leaving just before Listen's release. Lacking the funds to start from scratch with Palmer's replacement, Gordon Neville, the band had to simply re-record the vocals over the original instrumental tracks. Though Neville's voice wasn't as soulful or flexible as Palmer's, he did a yeoman-like job of taking the reins. In fact, his rougher-edged sound suits the harder direction in which the band was headed on the album. Originally released in November of 1970, Listen is very much a product of its time; there's a proto-prog feeling to the instrumental excursions (the album was produced by King Crimson saxophonist/future Alan Bown member Mel Collins), mixed with the kind of bluesy hard rock that was coming into favor via the likes of Led Zeppelin and Free. On some of the more adventurous tracks, the horn section -- Bown and future Supertramp saxman John Anthony Helliwell -- stretches out with a freewheeling approach influenced by the trailblazing progressive jazz exploits of Miles Davis et al. After Listen, Alan Bown (the band) would make only one more album before splitting, with Bown himself going on to a brief stint with prog rockers Jonesy.